Monday morning was full of excitement as we dotted our i’s and crossed our t’s for the last time before students arrived. The educators were ready to teach, the student folders were prepped, and the snacks were ready to go, but, as always before kicking off an important event – we felt like we were forgetting something. We spent the last hour before students arrived checking every to-do list, printing sign-in sheets for parents, and checking who still needed to provide emergency contact information. As soon as students arrived – everything fell into place and everyone knew their roles. Students were eager to get coding as soon as they walked in. Educators introduced themselves, got acquainted with the students, and made their students accounts on the Code Naturally app. The energy in the room was electric as the majority of students began to code a project for their first time. As things got going and educators got to teaching – it was obvious that everything had fallen into place better than we could’ve planned. Students jumped at the opportunity to get through their lesson plan and earn badges for each level of curriculum they completed. From underwater scenes to entire worlds in space – the students stunned our educators with their creativity and tenacity to take on increasingly difficult projects. What’s the point of my child learning to code? David presents his animation to the rest of camp. “Code powers our digital world. Every website, smartphone app, computer program, calculator and even microwave relies on code in order to operate. This makes coders the architects and builders of the digital age. Coding is an inherently creative pursuit and involves your child realizing original ideas. Since writing and running code in our application has a shorter feedback loop than other programming environments – they’ll quickly learn to make mistakes, adjust, and try again. When their project fails or doesn’t run – they’ll realize that they didn’t fail but that they just need to make adjustments and run it again until it does work. What do kids do when they aren’t coding? 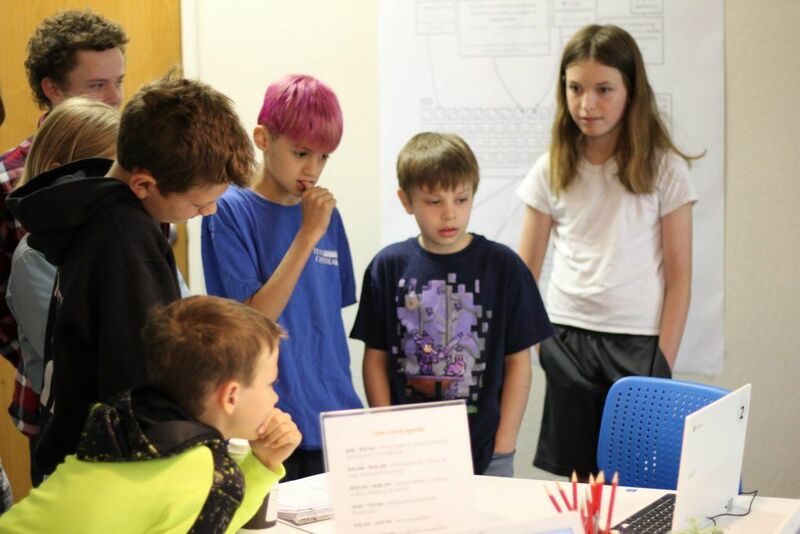 They participate in hands on offline engineering activities like looking at the insides of computers, building parachutes, paper airplanes, towers, and more. They participate in these activities together in teams with friends that they make at camp! Your child takes a break from the screen every hour to participate in offline activities, stretch, and to just enjoy the company of other kids that are excited to work together to build something awesome. Left: Students experiment with different designs during parachute building competition. 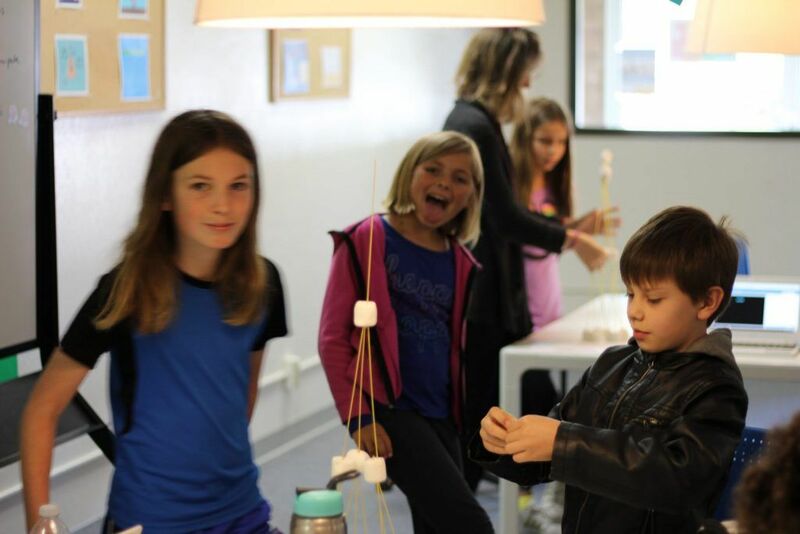 Right: Tao and Jonathan pose with their marshmallow tower while Ellie photobombs the shot. In short – yes! Students didn’t want to leave when they finished their first day of code camp during our first week. Your child will have the opportunity to earn badges, make projects that they can actually play and share with their friends, and make new friends with other students that share their interests and want to learn the language of the future. All of our educators are studying Computer Science because they were inspired by experiences they had during primary school. They understand how essential it is that students have positive experiences with Computer Science during this crucial age as 4 out of 5 students that study engineering when they grow up do so because of an experience during primary school. How is this different from other tech camps? 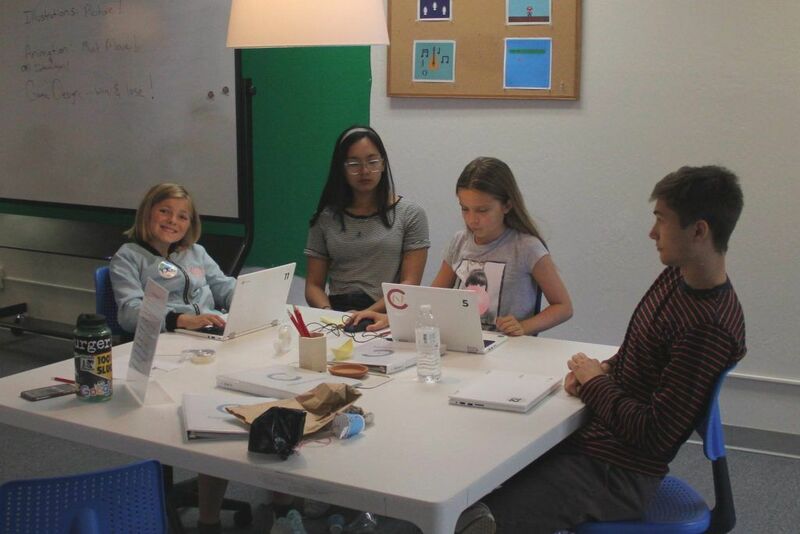 Many parents argue that the rise of tech camps in America leads to a lack of student creativity and places an intense amount of pressure on students to perform and learn rote tasks like memorization and mathematics. 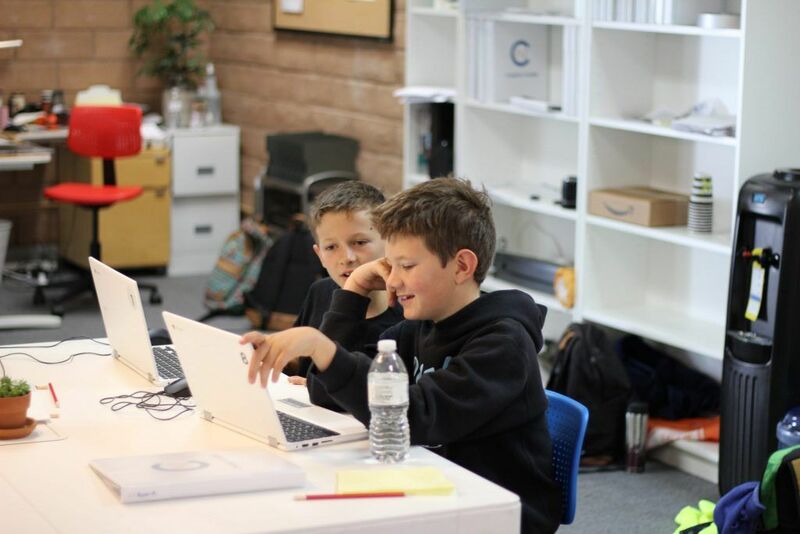 We agree that some tech camps can place too much emphasis on student progression – some of our students have attended these types of camps and are truly surprised at how different our approach to coding is compared to their past experience. 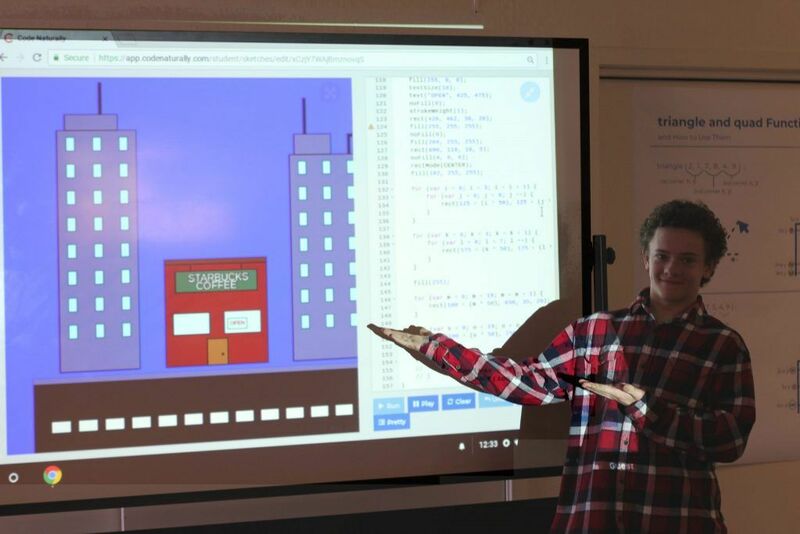 Left: Students present each their coding projects to each other and give constructive feedback. Right: Ryan and Jackson collaborating on their pong game during the end-of-week hackathon. 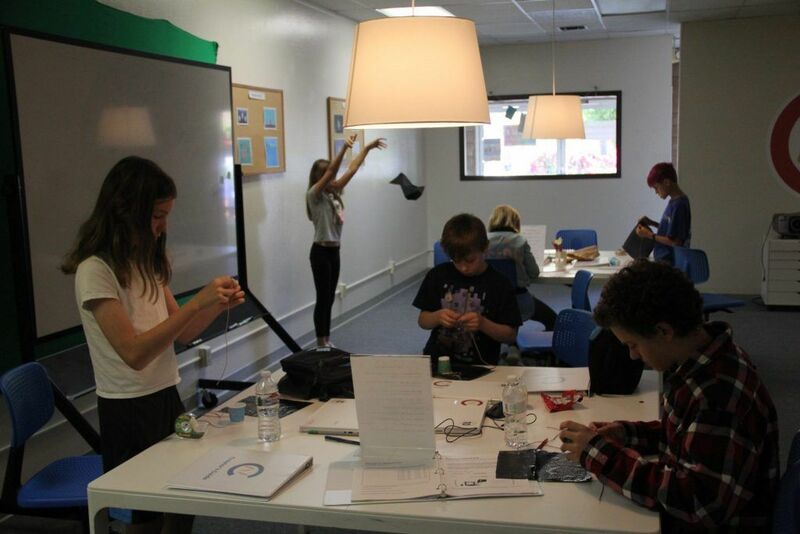 At the Santa Cruz Code Center, every student has their own distinct portfolio of projects inspired by their ideas and interests. While we have a curriculum and lesson plan to help them build a foundation of key concepts – they do it their way. We’ve seen that giving students that amount of creative freedom often leads to them pursuing much more challenging projects than we would’ve originally assigned. Because it’s their idea, they have intrinsic motivation to conquer big concepts and bring it to life.